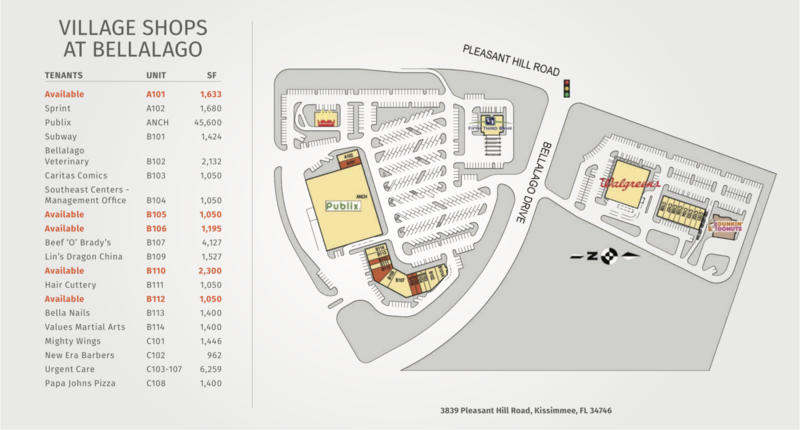 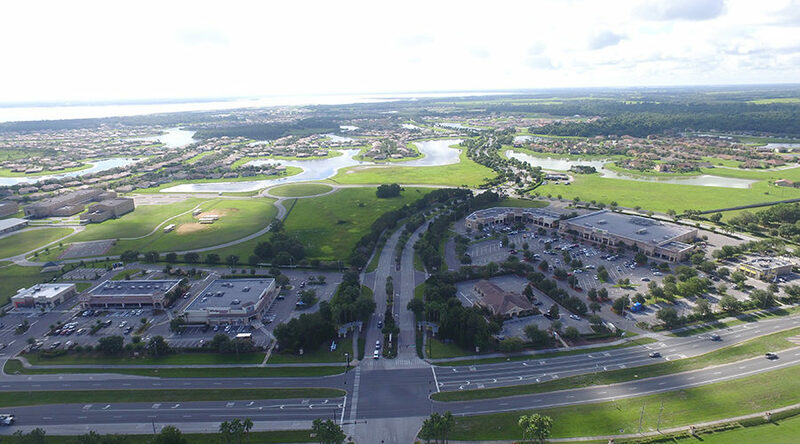 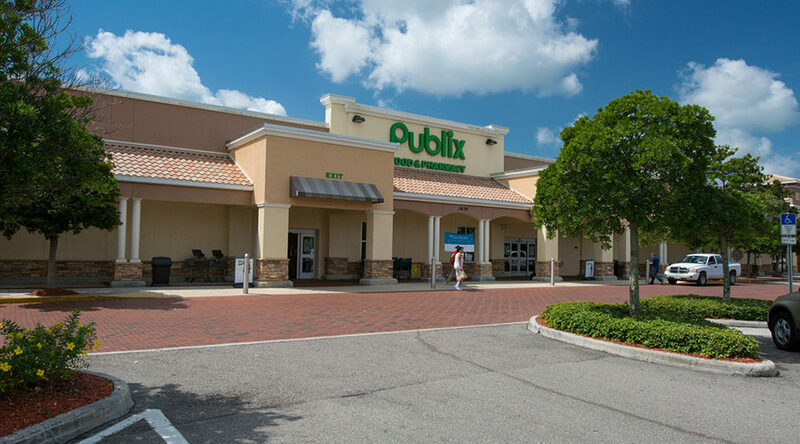 Located on the SE corner of Pleasant Hill Road and Bellalago Drive, this Publix-anchored center serves the Bellalago community – a 1,900-acre gated community along Lake Tohopekaliga. 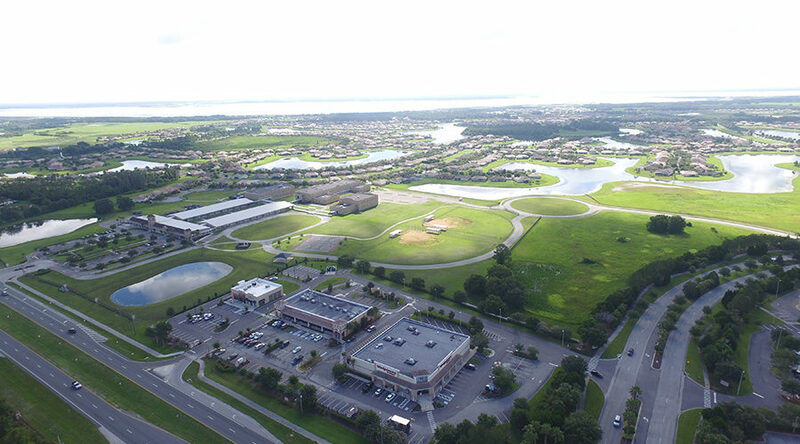 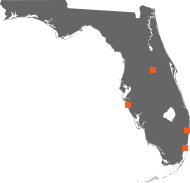 Valencia College recently opened their new 65,000 square foot Poinciana Campus 1.2 miles north of Bellalago on Pleasant Hill Road, with an estimated 3,500 students. 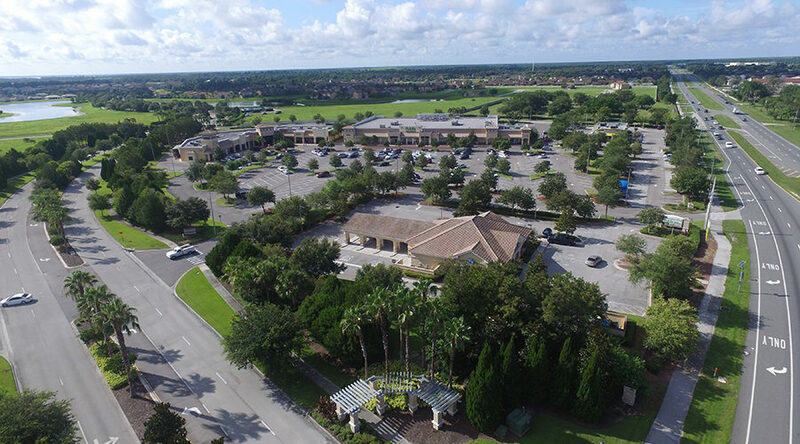 With combined traffic counts of over 61,000+/- vehicles per day, The Village Shops at Bellalago offers convenient ingress and egress to commuters and residents alike.